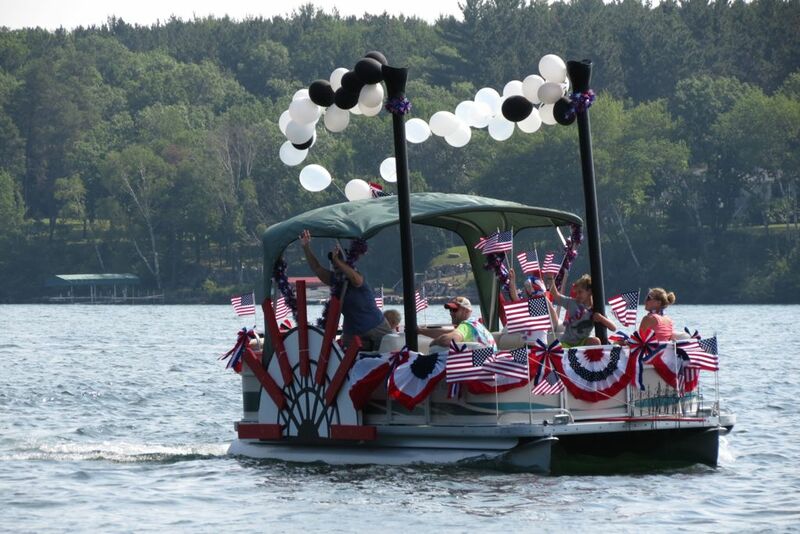 Our Independence Day Flotilla will be held on Monday, July 4th. 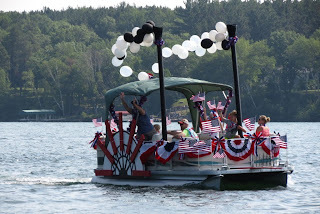 Those who wish to participate are to again gather in their decorated boats and pontoons at New Frontier Resort on the West side of the lake at 9:50 am. Follow the North or South Leaders as the flotilla parade departs at 10am. More Northerners are needed for participation on the North route! We ask if possible to try to split the two groups a little more evenly. We know family and friends are watching for you in your own neighborhoods, so it would help very much to have more people/boats participate from the north neighborhoods. If there is inclement weather (high winds, rain, thunderstorms) at 9am on the fourth, the Flotilla is cancelled. Participants agree to allow their boats to be photographed and published on this website. Email your own photos to longlakeliving@gmail.com if you would like to share them. Have a fun and happy Independence Day Weekend!